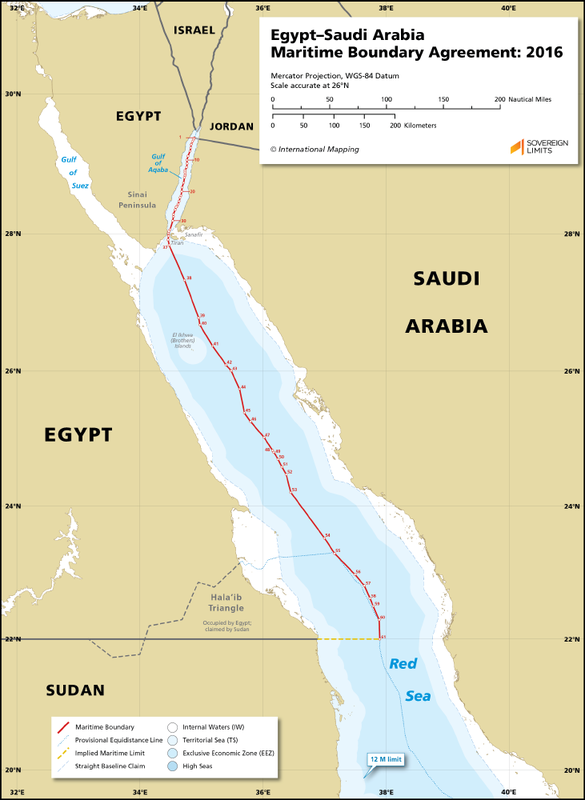 In 2016, Egypt and Saudi Arabia came to an agreement on their maritime boundary in the Gulf of Aqaba and Red Sea. The Agreement resolves an historic dispute over the Tiran and Sanafir Islands, which were left in the territory of Saudi Arabia. The boundary generally follows an equidistance line from the tripoint with Jordan, which still needs to be delimited, to the southern boundary of the disputed Hala’ib triangle between Egypt and Sudan at 22° N latitude.